Our Plano Location | BrightStar Care " "
Quality home health caregivers and medical staffing solutions in Plano and Collin County At BrightStar Care of Plano, serving Allen, Plano, McKinney, North Dallas, Richardson areas, our home care agency provides quality home care, caregivers, and medical staffing solutions to families and businesses in the Collin County area. We offer compassionate care, peace of mind and exceptional service — any time, any place. Our local BrightStar team is available for you 24 hours a day, 7 days a week with an RN on call to provide the highest level of care and service. Please give us a call today at (214) 295-4667 and we'll be happy to answer your questions. Quality Home Health Care Standards at BrightStar Care of Plano BrightStar Care of Plano, TX. is committed to delivering the highest quality care. 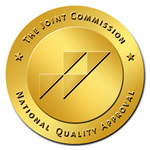 We have voluntarily attained accreditation for our home care agency by the Joint Commission which is a nationally recognized quality standards organization with rigorous standards. The creation of BrightStar Care stems from the desire to create a great company with a great purpose: To provide families and their loved ones with the highest level of accessible home care, dignity, and personal attention they need and deserve. BrightStar Care of Plano proudly provides Home Care and Support for Seniors and Children, including 24 hour In Home Care, Home Health, and Support in independent and assisted living communities. At BrightStar Care, our Registered Nurse Director of Nursing leads experienced, trustworthy, compassionate caregivers who provide a full range of services in the comfort and safety of home. Our Caregivers are fully screened, insured and bonded, certified and/or licensed. We provide Medical Staffing, In-Home Care, Companion Care, and Personal Care for Elders with Alzheimer’s or Dementia. We also provide Home Child Care, Sitter and Nanny services for Children and Support for New Mothers. We Support Veterans and accept most Long Term Care Insurance benefits, provide Hospice Care, Live-in Care, CNA, Caregiver, RN, LPN, RN Supervision, Compassionate Care, and Compatibility Guarantees. We are an ALS Society partner and Alzheimer's Association member, and also provide care for developmentally disabled individuals and those of all ages with mental health and behavioral health diagnoses. Other services include Safe Discharge and Transportation from the hospital or rehab facility, both short term and long term Post Op care, Pre Operation and Preparation help and assistance, and Client Monitoring for out of town family members. Proudly serving Plano, Murphy, Parker, Wylie, St. Paul, Lucas, Allen, Fairview, Lowry Crossing, McKinney, New Hope, Princeton, Melissa, Prosper, Celina, Anna, Farmersville, North Dallas, Richardson, Nevada, Lavon, Blue Ridge, and neighboring communities in TX.